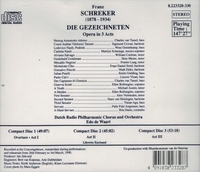 “DIE GEZEICHNETEN (The Branded or The Stigmatized) is an opera in three acts by Franz Schreker, libretto by the composer. An expanded concert-version of the overture to the opera was performed at the Vienna Musikverein on 8 February 1914 by the Vienna Philharmonic Orchestra conducted by Felix Weingartner. 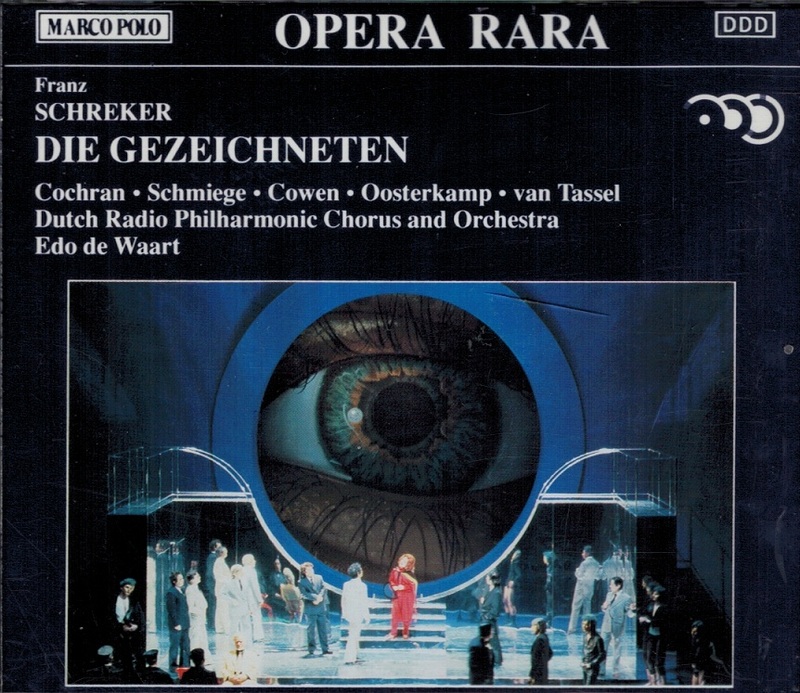 The complete opera was first performed on 25 April 1918 by the Frankfurt Opera in the Alte Oper, conducted by Ludwig Rottenberg. 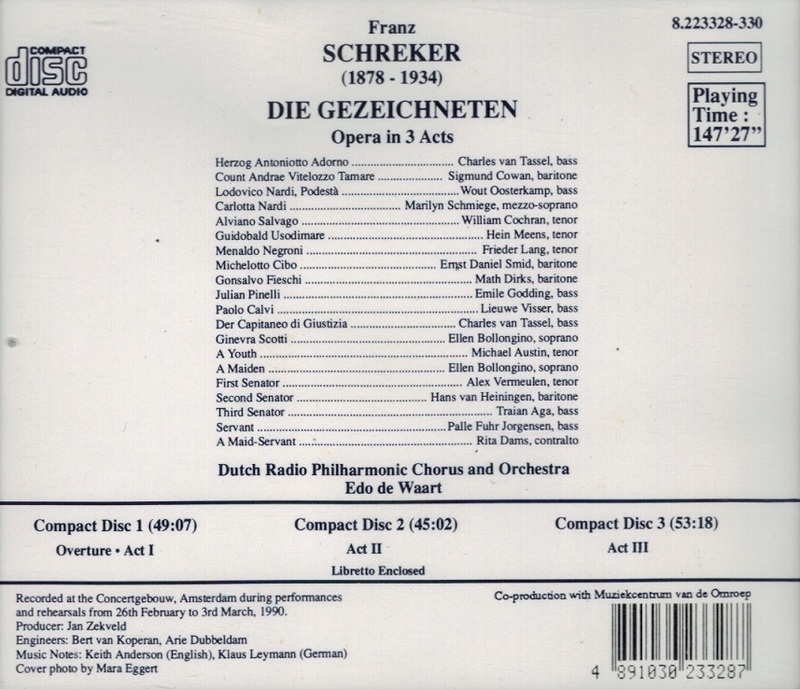 It established Schreker as the pre-eminent opera composer of his generation and won him the support of Germany's foremost music critic, Paul Bekker. Before the composer's music was banned in 1933 due to his Jewish ancestry, a further two dozen productions followed in fifteen different cities in Germany and Austria. The playbill of the first performance in Vienna (January 1920) mentions 66 previous performances of the opera in five different opera houses (Frankfurt, Nuremberg, Munich, Dresden and Breslau).